As announced on Wednesday, Prime Minister Narendra Modi will inaugurate Kerala's first metro on Saturday, following which he will travel on a Kochi metro train on Saturday. India’s ‘Metro Man’ E Sreedharan, Urban Development Minister Venkaiah Naidu, Kerala Chief Minister Pinarayi Vijayan and the state’s Governor P Sathasivam will be present during the inauguration of the metro. PM Modi will flag off the first phase of the Kochi Metro, and the total distance included in this phase is 13.2 km out of the 25 km stretch at around 10.30 am. The whole inauguration clan, including PM Modi, is expected to ride from the stations of Palarivattom to Pathadippalam in the city, state various reports. The first phase of the project, covering nearly 13 km, will be the longest first phase of a metro project to be inaugurated and will include 11 stations. While the distance of road travel from Aluva to Palarivattom – the two end points of the first phase metro project – is 45 minutes, the journey via metro will reduce it to a mere 23 minutes. Humanitarian clauses are another reason which differentiates the Kochi Metro from existing ones. The Kochi Metro Rail Corporation has decided to employ transgender people as employs in the stations. The project began, a year before PM Modi and the BJP came to power in 2013 and was tasked with the Delhi Metro Rail Corporation (DMRC). The DMRC, which was once headed by Sreedharan, was also responsible for supervising the Kochi Metro project. 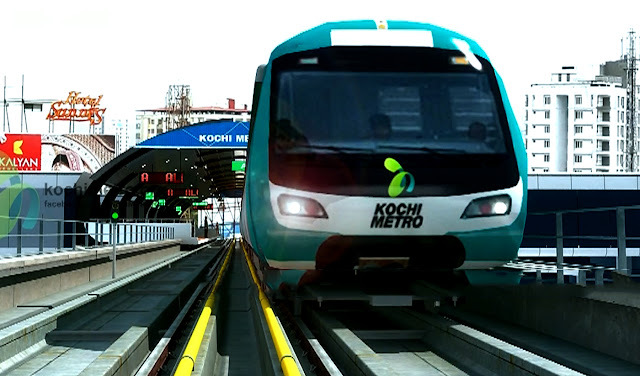 The total cost of the project, according to the Kochi Metro website, is Rs 5,180 crores. The fares of the Metro will vary from a minimum of Rs 15 to a maximum of Rs 30. While there has been tension between Kerala and the Centre of several issues, this is one project that holds importance, as it will help bridge the differences between the state and Centre.